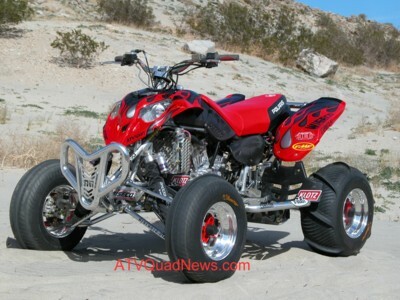 When we asked Robert from ATVParts.Biz, why he pick the Polaris Predator atv for this project. His answer: It’s simple, it had’nt been done yet! And we wanted to give the Predator atv guys something to drool over and the end result was the trickest Polaris Predator ATV we have seen! 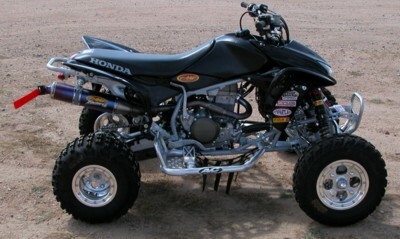 We sent our 2004 Honda ATV over to ATVParts.Biz for a little tune up. The first thing they recommended was changing the color from red to black. They added the 2005 Black OEM plastic kit to the body, which gave it a mean look. Who says you can’t make power without adding noise? Donnie Emler of FMF Racing says they can. 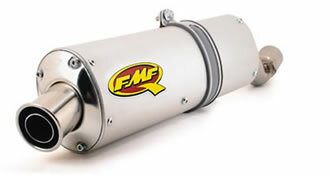 FMF Racing “who has been designing exhaust systems since 1973” says they found the answer in there FMF Q ATV muffler.